A gradual tan body moisturizer that moisturizes the skin and subtly build an even, natural looking tan. 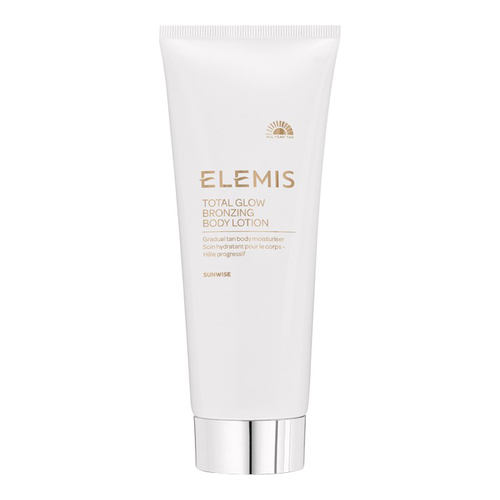 This luxurious, gradual tan body lotion instantly moisturizes the skin, whilst Vegetan, naturally derived from wheat, subtly builds an even, natural looking tan. Specially formulated with anti-oxidant rich green tea for a more even skin tone and Red Algae extract to help ensure long-lasting hydration. Enriched with exquisite Abyssinian and Elderberry Seed Oils to nourish and condition, skin is left feeling soft, velvety smooth and with a beautiful golden glow. Aqua/Water/Eau, Glycerin, Coco-Caprylate/Caprate, Hexyldecanol, Hexyldecyl Laurate, Isopropyl Palmitate, Dihydroxyacetone*, Propylene Glycol Dicaprylate/Dicaprate, Myristyl Myristate, Arachidyl Alcohol, Phenoxyethanol, Behenyl Alcohol, Hydroxyethyl Acrylate/Sodium Acryloyldimethyl Taurate Copolymer, Fragrance (Parfum), Arachidyl Glucoside, Chlorphenesin, Polyisobutene, Crambe Abyssinica (Abyssinian) Seed Oil, Sambucus Nigra (Elderberry) Seed Oil, Hexyl Cinnamal, PEG-7 Trimethylolpropane Coconut Ether, Linalool, Butylphenyl Methylpropional, Sorbitan Isostearate, Alpha-isomethyl Ionone, Hydroxyisohexyl 3-Cyclohexene Carboxaldehyde, Camellia Sinensis (Green Tea) Leaf Extract, Citronellol, Hydroxycitronellal, Tocopherol, Jania Rubens (Algae) Extract, Citrus Limon (Lemon) Peel Oil, Geraniol, Limonene, Benzyl Benzoate, Potassium Sorbate, Sodium Benzoate, Pogostemon Cablin (Patchouli) Oil. Active Ingredients: Vegetan, TM, Green Tea , Red Algae , Abyssinisan oil. • Gently smooth over the body and massage into skin. • Builds an even, natural looking tan in 2-3 days.